If you have a strong interest in making money as an Amazon affiliate but aren’t sure where to begin or you have concerns that the market is saturated, you are in the right place. One of the reasons many people choose Amazon affiliate marketing as a money-making venture is that there’s a niche for every subject. Since you’ll be researching, testing, and posting about products constantly, it’s important to choose subject matter that holds your interest. Try to narrow your subject matter down enough that there’s not a ton of competition in your niche. The most successful Amazon affiliates grow their following organically. 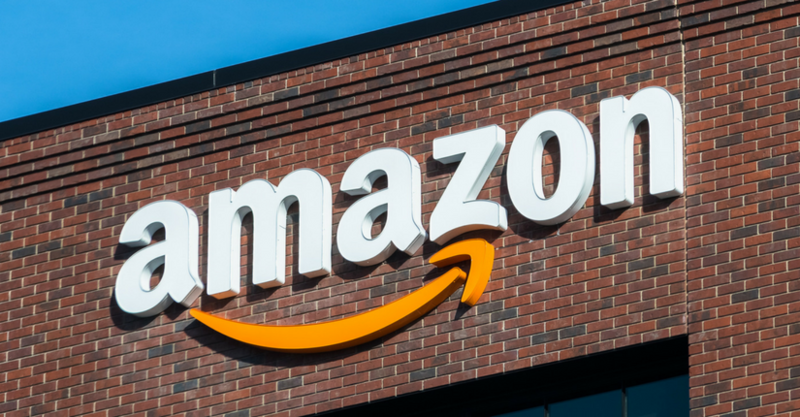 You may not see immediate profits, but if you understand the strategies that the most successful Amazon affiliates use to build their business and apply that knowledge every day, it won’t be long before you’ll see positive results. Becoming a successful affiliate marketer requires time, attention, and dedication. The financial rewards are astounding, though. Click here to watch a free video training on how to make money with Amazon Affiliate. Amazon affiliates make money by directing traffic to a specific product or several products for sale on the Amazon website. They do this by producing high-quality and helpful content, testimonials, and reviews with the intention of informing people about the product. When one of their referrals makes a purchase through the affiliate link, the Amazon affiliate receives a percentage of that sale. You can make money on nearly anything that Amazon sells…and that’s nearly everything! There are many intricacies when it comes to the rules and regulations of the Amazon affiliate program. Of course, new users need to be especially careful to remain in compliance with all of the guidelines offered by Amazon. It’s helpful to learn as much as possible about the program and pay attention to advice from successful Amazon affiliates. There are a few ideas about Amazon affiliates that newcomers may find confusing. The best way to understand how to start as an Amazon affiliate is to get advice from people who’ve accomplished the goals you’ve set for yourself. Successful Amazon affiliate marketers take nothing for granted. They understand that their audience considers them a source of valuable information. Understanding the rules so you can remain compliant with Amazon is the first order of business. This is an area where tutorials about how to make money as an Amazon affiliate come in handy. While it is possible to start as an Amazon affiliate with very little financial investment, you’ll need to do the heavy lifting on your own. This means you need to learn as much as possible about content creation, website development, SEO, marketing, and managing a small business. Even if you hire writers and web designers, you’ll need to understand how to delegate and communicate your vision. Making a living as an Amazon affiliate isn’t a passive way to make money, at least not at first. It requires a great deal of involvement and dedication in addition to patience to get good at affiliate marketing. A niche product is related to the content you produce, is in-demand, and is high quality. Your credibility is on the line where quality is concerned, so start with highly rated products. If you aren’t sure exactly which product to promote as an Amazon affiliate, you’ll need to do a bit of brainstorming. Since you’ll be researching, writing about, and thinking about the subject matter a lot, try to choose something that you feel strongly about. Think carefully about any hobbies or interests you have and research products in that niche. Ideally, you’ll only write reviews and offer opinions or advice about products you use and love. Some of the most successful Amazon affiliates have a website or blog with a loyal following. This takes a lot of time to build, and it can quickly become a full-time job. If you have the extra time and can wait for success, this is a tried-and-true route to a great income. There are other ways to make being an Amazon affiliate work for you if you don’t have a website or blog or you don’t want to spend time building one. Maybe writing isn’t your strength, and you’d rather not go through the process of hiring someone to handle that part of content creation for you. Anyone with a smartphone can make a video, and if you’d rather tell a story than write one, YouTube is a great option. Focus on creating useful content. For the best results, build a following by offering high-quality videos that show your personality while giving your honest opinion. Put affiliate links inside the video description so viewers can go directly to the page on Amazon where they can buy the product. It’s also OK to produce YouTube videos without affiliate links at times simply to build an audience. It’s possible to become a very successful Amazon affiliate marketer by marketing through Facebook. There are rules to follow, of course. It’s perfectly fine to post promotional materials or testimonials with links to the products you promote on your personal and/or business Facebook page. Both Facebook and the FTC require transparency when promoting products in exchange for money. There’s no script to follow, but you’ll need to include some mention of your status as an Amazon affiliate with each promotion. Images rank better on Facebook than text-only posts, so it’s worth your time to create an image gallery and add to it regularly. Weave your reviews and testimonials in with other useful content to reduce the chances that your Facebook page will seem salesy. When you combine Facebook and the Amazon affiliate program, make sure you follow the rules of both platforms. The most important thing to remember is to be completely transparent with your readers about your relationship with Amazon as an affiliate. Facebook groups, in general, receive more attention from individual users than business pages. If you want to build a loyal following without a website or blog, a Facebook group is a great place to start. If you have permission from Facebook groups where you are active, invite members to join your new group. Build engagement by posting interesting and compelling information. After building organic growth to the point where there’s a good amount of activity on your page, Facebook ads will help promote your group by targeting the specific type of person you want to attract. Using Facebook groups for affiliate marketing is well within the rules because the people in your group are there by choice. Share a lot of free, useful knowledge that people interested in the topic at hand will appreciate. When it comes to growing a Facebook group, engagement is the highest priority. It’s important to set realistic goals for your Amazon affiliate earnings. If you follow the experts’ advice about how to make money with Amazon, build trust with your readers and followers, and learn as much as you can about how to make your Amazon affiliate business a success, you can build a sustainable and reliable source of income. Perfect the art of writing a helpful, complete, and easy-to-read product review. High-quality content that answers the reader’s questions and communicates your personal experience with the product is your best sales tool. Link to the subject of the article on Amazon between five and ten times in each article. Give your readers many chances to go directly to the page where they can buy. Use good quality photos to give readers multiple views of the product. Make sure each of those photos links to the Amazon page where the reader can buy. Publish a “top products for sale on Amazon” in your chosen niche for every holiday. Use different tracking IDs for each page and product to understand which article, blog, or promotion is working best. Take time to create a product comparison guide that includes an easy-to-skim grid. Make one column a buy now button that leads to the product on Amazon. Never stop building. No matter where you start with your Amazon affiliate business, keep creating new content. Branch out into social media if you didn’t start there. The more videos, posts, and articles you produce, the stronger your presence and the greater your chances for maximizing your Amazon affiliate earnings. Before you can reach your Amazon affiliate earnings goals, you need to figure out how best to drive traffic to your website, blog, and social media pages. Beginning Amazon affiliates often have difficulty understanding which methods for boosting traffic are truly effective and which create false hope and are marketed to newbies. Offer a useful tidbit of information in social media posts that entice the reader to go to your article. Make sure your content is 100% typo-free by using a free editor like Grammarly. Create articles and blogs that are completely original. The Google algorithm penalizes duplicate content. Your content should be easy to skim. Use a 14-point font and break up the text with headings, photos, and lists. Nurture relationships with other website owners. Include links back to your site in your guest posts. Be genuinely helpful on sites like Quora and Reddit when people ask questions about your niche. Include a link to your site in your signature and a link to your products in your text if the platform allows that type of promotion. Maintain high engagement in social media groups that are relevant to your niche. Again, your ultimate goal is to be genuinely helpful. Make sure your website is optimized for mobile devices. Build an email list by offering free information when new site visitors sign up. If you regularly send out well-written and informative emails to your subscriber list, you can expect about 2% of subscribers to make a purchase after clicking on your affiliate link inside your email. Read as much as you can about how to drive traffic to your content. Find affiliate marketing experts and follow their lead. Creating a Facebook page for a blog or website is one way successful Amazon affiliates gain traction quickly. Your page should keep your audience up-to-date about what’s going on with your website. Promote new posts and be sure to offer useful content, share videos, and remain engaged in conversation with your followers to position yourself as an expert in the niche. If you choose to use Facebook ads in your affiliate marketing program, be sure you completely understand the rules that govern how your ad looks. Images are everything in Facebook advertising, so test a few ads with a small audience before making a larger investment. Are you ready to learn more about how to make money with Amazon affiliate? Do you want to understand how best to maximize your Amazon affiliate earnings? Check out this guide written by expert Amazon affiliates for the answers you need, right now.